Bonjour! That means “hello” in french. Bet you didn’t know that, right? I’m so continental. Listen, some exciting news has just come across the Milly Pom desk. 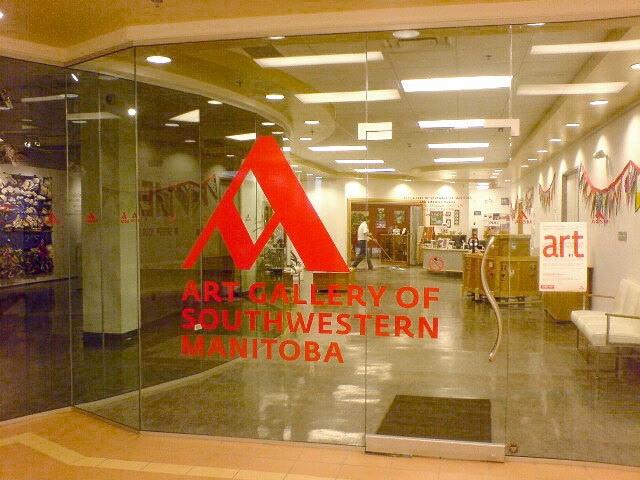 Milly Pom candles are now available at the Art Gallery of Southwestern Manitoba! Take a look at the AGSM website here. You might be asking yourself what is so special about these candles? Well, they are made from soy wax. Soy wax is non-toxic, like beeswax, but is easier to produce because bees are lazy. Just kidding, they’re not lazy, but soy is pretty darn easy to grow I hear. It’s an easily renewable resource. Unlike parrafin candles that are made from petroleum soy wax is biodegradable. 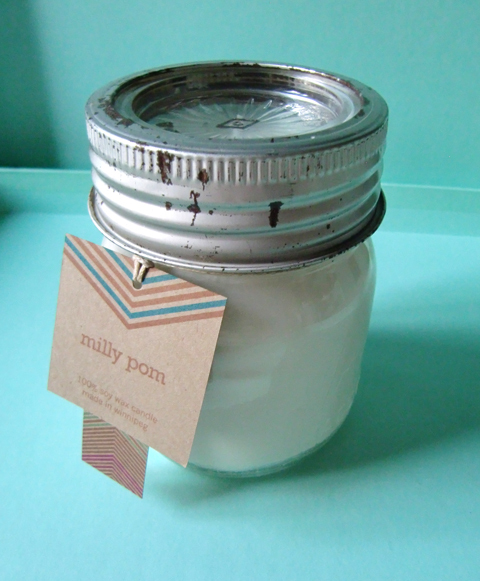 Milly Pom candles are lightly scented, so they’re nice for people who want a little scent, but not to be overwhelmed. Some of the candles are even made with 100% essential oils, the price increases with this type of scent, but it’s a nice option for people who want something all natural. The wicks that are used are cotton core, there’s no metal in the wick, so it helps reduce carbon build up when burning. They’re also constructed using 100% natural fibres. The vessels used for the candles are pre-loved. Instead of buying new containers from a company and letting unique cups, glasses, jars sit in second hand stores they’re getting new life through Milly Pom. The less new containers we buy, the less are produced meaning that we’re reducing & repurposing all at the same time. Oooo it feels good to be eco-friendly. I think Leonardo Dicaprio is smiling somewhere. Don’t forget also that Milly Pom candles are also available at Glitz Gallery on Academy Road in Winnipeg, Forum Art Centre on Eugenie Street in Winnipeg, & Di Erbe on Marion in Winnipeg. Go pick some up and make Al Gore’s day.